You've seen the red carpet pics. Now everybody get in formation! 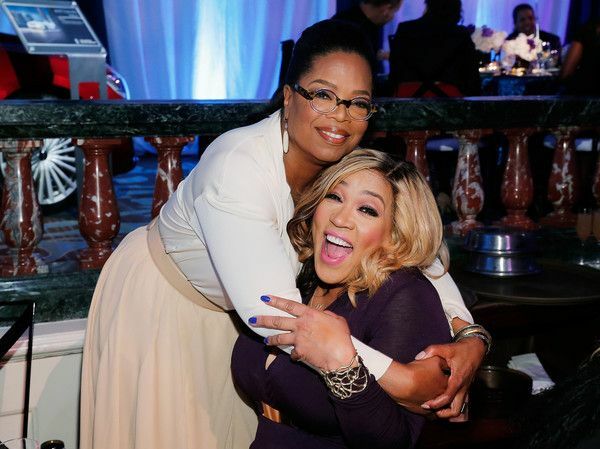 Oprah, OWN, ESSENCE and Lincoln brought together the most fabulous people in Hollywood on Thursday -- black women who are slaying this Hollywood game. 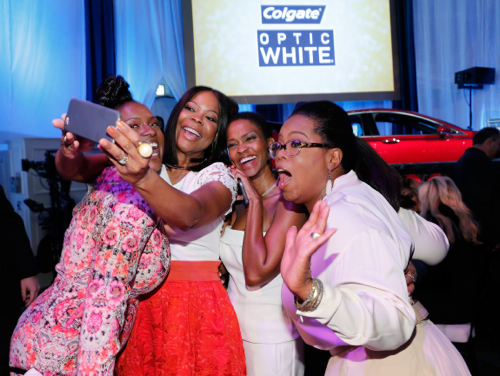 After Oprah happily snapped selfies with EVERYBODY (we saw it with our own eyes), KeKe Palmer hit Snapchat with EVERYBODY and Tracee Ellis Ross cried tears of joy while chatting with friends and fam, the 2016 ESSENCE Black Women In Hollywood Awards were presented to Tracee, Debbie Allen and Nina Shaw inside the posh Beverly Wilshire. 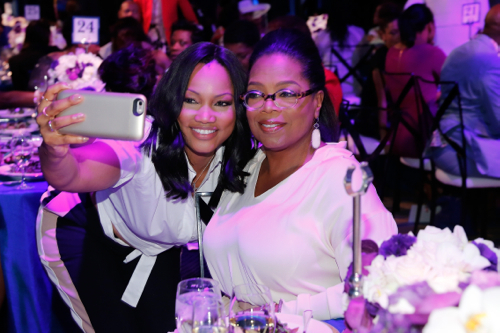 OWN stars Kendra Johnson ("Have & Have Nots"), Evelyn Lozada, and "Hollywood Live" star Garcelle Beauvais all nabbed selfies with the Queen of all media. 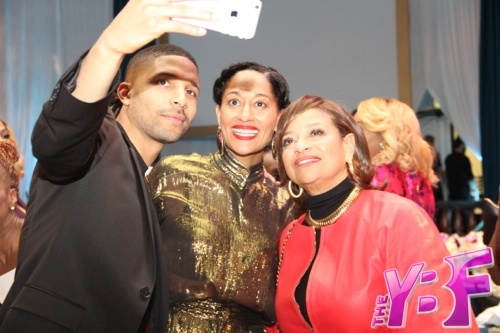 Powerhouse actress Tracee Ellis Ross was presented the Fierce & Fearless Award by her sister Rhonda Ross and Zendaya. 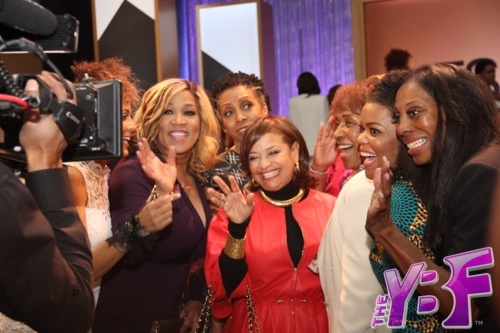 Multi-talented producer, director and actress Debbie Allen was presented the Legend Award by Shonda Rhimes and entertainment attorney Nina Shaw was presented the Power Award by ABC Entertainment President Channing Dungey and Nick Cannon, brought to you by Lincoln. 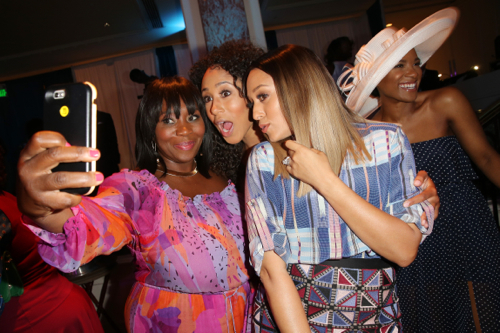 Bevy Smith and Tia Mowry were all about the selfies. If you followed us on Snapchat (TheYBF) while we were living it up at the event, you saw us nab video of Kelly Rowland, Meagan Good, Lala, and LeToya Luckett all giggling like school girls together and keeping it FUN and fab. KeKe Palmer snapped it up against the all new Lincoln Continental as she chatted with TheYBF.com who hosted for Lincoln. We've got everything she spilled to us -- from those DMs to her ever-changing image -- coming up soon on the site! 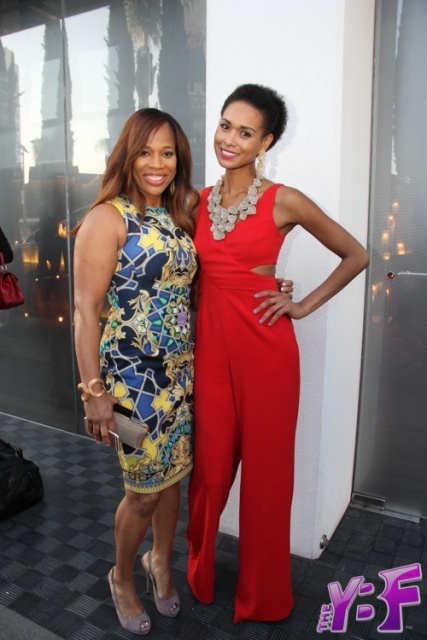 Wendy Raquel Robinson got matchy-matchy with the Magnetic hue of the Continental. And HCIC (Head Chick In Charge) Raj Register, Lincoln's new multicultural communications manager, kept it fab while posing it up with one of the vehicles she's most excited about. By the way, for the powerful women who want a car to match their fresh, Raj says she loves the Continental and the MKZ for the air conditioned and heated seats, super quiet and luxe ride, and those customizable interior color lighting features. 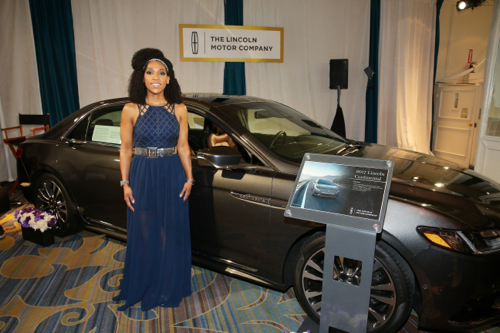 “Both Lincoln and today’s honorees exemplify quiet luxury — the combination of serenity, elegance and power,” said Raj Register, multicultural communications manager, Lincoln. One fresh YBF face actress who grabbed our eye while she made her Lincoln arrival -- Trinidad and Tobago-native Thais Francis, who was crowned ESSENCE's 2016 Short Film Contest Winner. Loving her look! 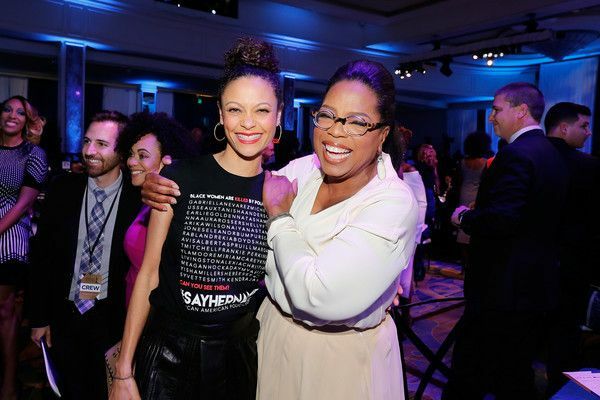 Thandie Newton and Nate Parker were on hand to support the honorees. The "Real Housewvies of Potomac" were also there, showing off their best "etiquette." Ha! Hey Katie and Charisse! 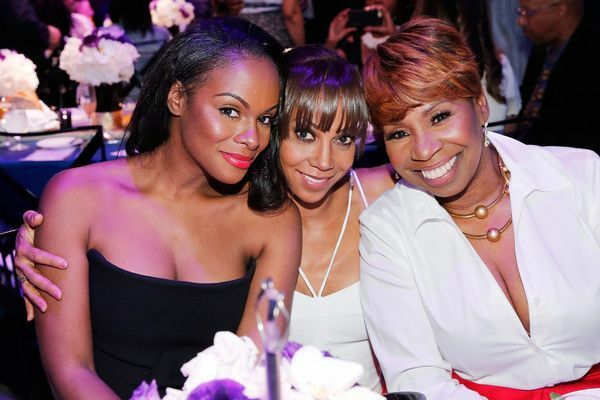 We've got a ton more pics below -- Oprah Winfrey, Chris Rock, Jurnee Smollet-Bell, Nate Parker, Meagan Good, Kelly Rowland, Tika Sumpter, Keke Palmer, Amber Riley, Serayah, Lala Anthony, Margaret Avery and others. 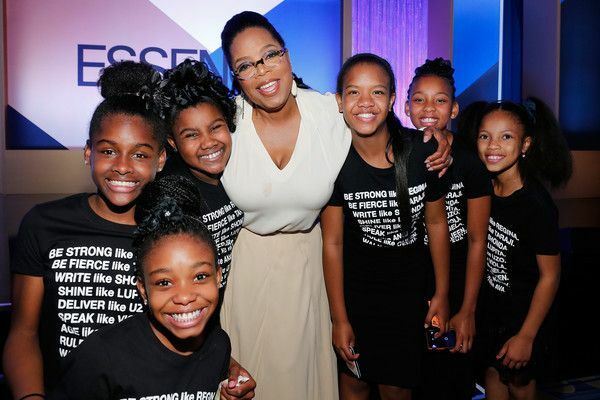 The ESSENCE Black Women In Hollywood Luncheon will be televised as an ESSENCE and OWN: Oprah Winfrey Network special, airing on Saturday, February 27 at 10 p.m. ET/PT on OWN. 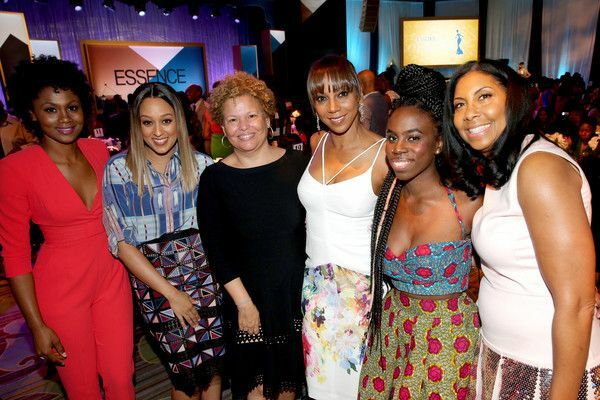 Photo Gallery // BLACK GIRL MAGIC Takes Over Essence's Black Women In Hollywood Brunch!